We are very excited about our next guest announcement... Please put your hands together for local voice actor Brandon Winckler! Now living in Los Angeles, Brandon spends most of his time working professionally in the world of Anime and Video Game Voiceover. 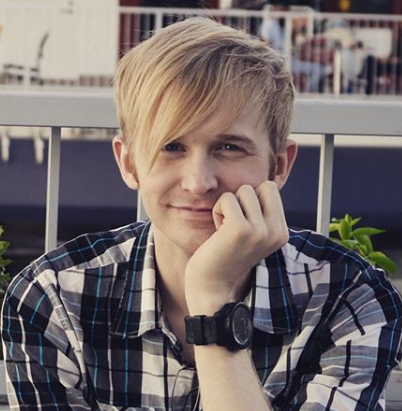 Brandon has provided voices for many English dubbed anime and films including roles such as Theo Cornaro in Record of Grancrest War, Lui Shirosagi in Beyblade, Jason in the Mattel adaptation of Turning Mecard, and more that he can’t even talk about yet! He also voices long time Marvel villain, Green Goblin in Marvel Avengers Academy and has also provided voices in several web series such as Aphmau, God’s School, and more!